Despite the advances in early detection and treatment of breast cancer, a significant proportion of patients still present with locally advanced breast cancer (LABC). These advanced tumors include patients with stage IIB disease (T3N0) and stage IIIA to IIIC disease and are characterized by high relapse rates and poor prognosis. Multimodality management, which includes preoperative systemic therapy followed by surgery and radiation therapy, has had a tremendous impact on the outcome of patients presenting with LABC. Inflammatory breast cancer (IBC) is a particularly aggressive subtype of LABC, which progresses rapidly and is characterized by the presence of edema and erythema of the skin. This chapter reviews the epidemiology, staging, diagnosis, prognostic factors, molecular markers, and treatment approaches for these malignancies. IBC, although included in the definition of LABC, will have separate annotations due to its distinct clinical presentation and aggressive behavior. http://www.facs.org/cancer/publicncdb.html [Internet]. 2013 [cited 16 June 2016]. National Comprehensive Cancer Network. NCCN guidelines, version 2.2016, invasive breast cancer 2016 [BINV-14]. Available from: http://www.nccn.org/professionals/physician_gls/pdf/breast.pdf. National Comprehensive Cancer Network. NCCN guidelines, version 2.2016, invasive breast cancer 2016 [BINV-K]. Available from: http://www.nccn.org/professionals/physician_gls/pdf/breast.pdf. National Comprehensive Cancer Network. NCCN guidelines, version 2.2016, invasive breast cancer 2016 [BINV-15]. 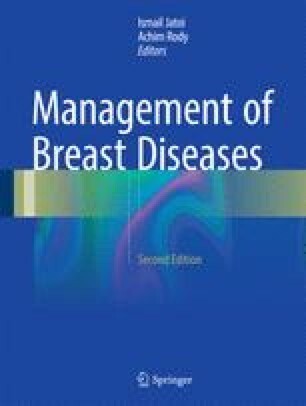 Available from: http://www.nccn.org/professionals/physician_gls/pdf/breast.pdf.